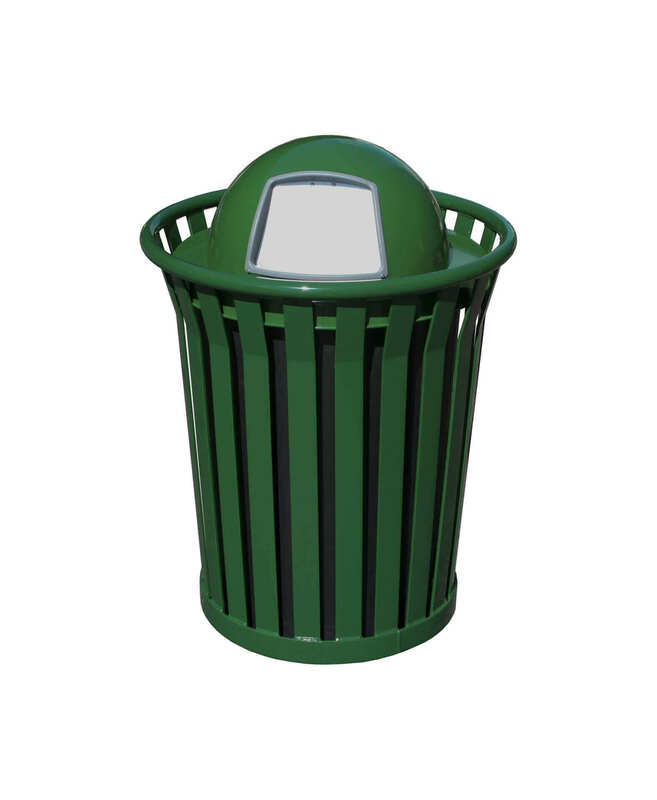 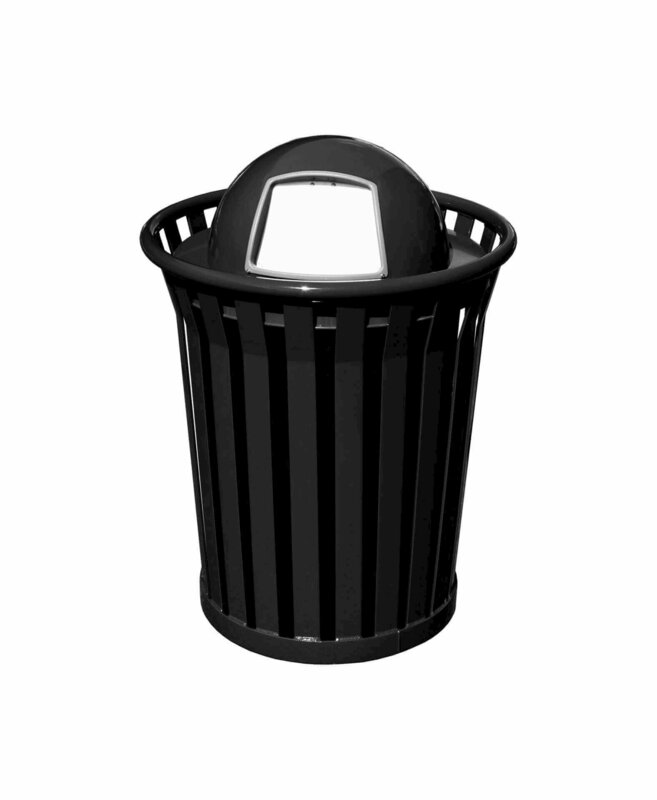 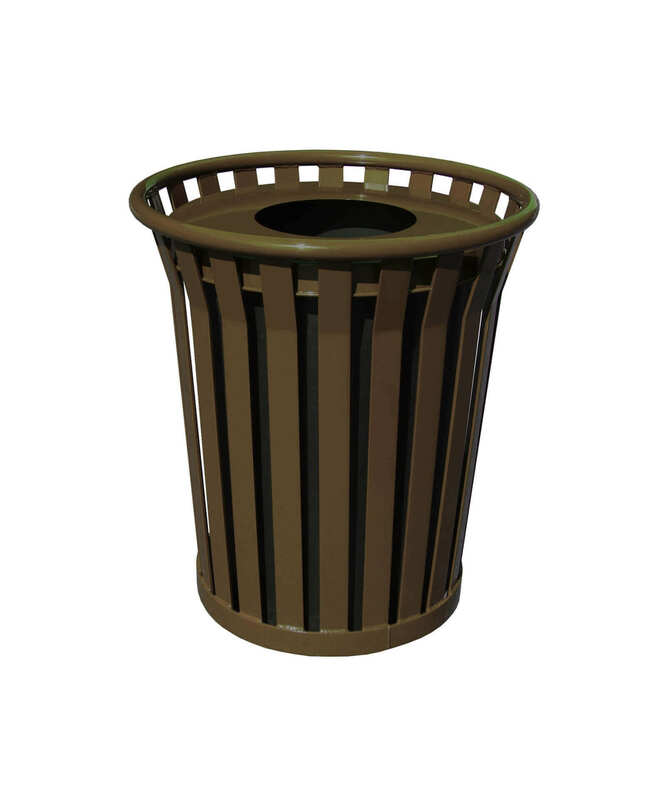 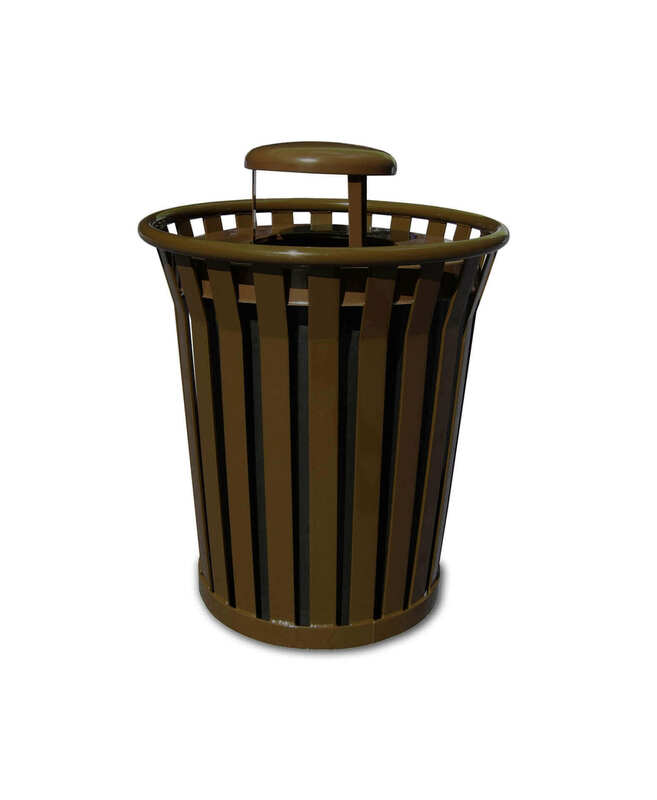 Our 36-gallon Wydman Series round steel receptacle with liner and top ideal for parks, apartments, and city sidewalks. 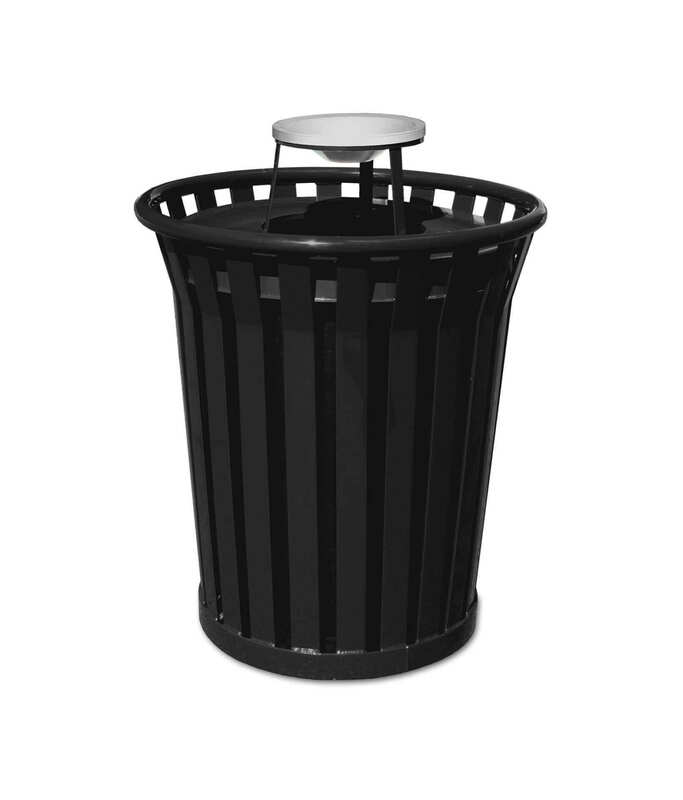 Featuring 1/4" x 2" galvanized steel slats with 1 1/4" top tube &, the material is chemically prepared with zinc making a durable and strong trash receptacle. This product is coated with TGIC polyester powder coating which is a deterrent for graffiti, keeping it clean and protecting the color for the life of the product. Each can comes with a black high-density polyethylene rigid plastic liner. 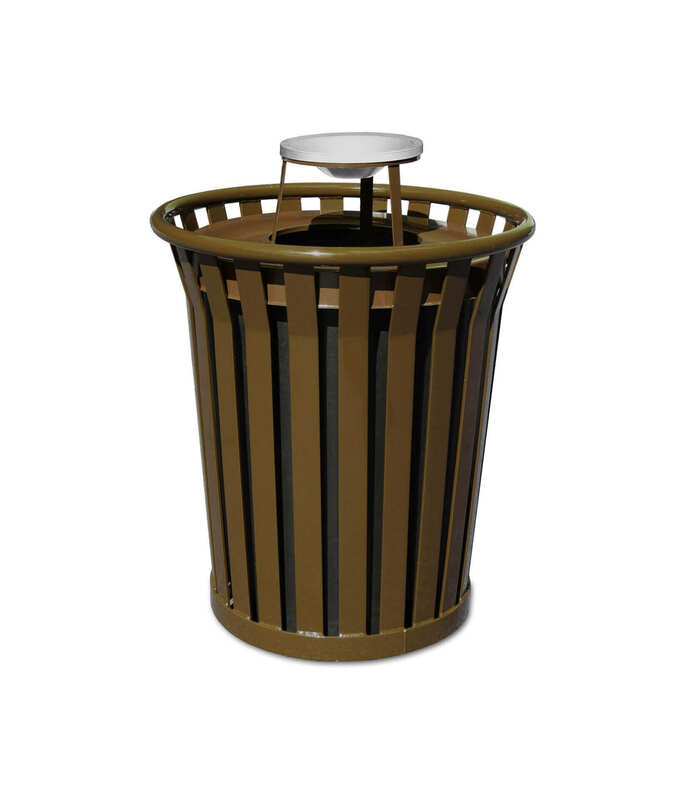 Unit comes with 3 stainless steel leveling feet, anchor kit, and lid attachment kit. Receptacle gives the option to pick from different lids & colors. The USA sourced and constructed this product!